This item is eligible for a lightweight shipping credit of $3.00. Please note that only the two largest lightweight shipping credits will be applied to a single order. These Wiley X® Sunglasses meet MIL-PRF-32432(GL) ballistic, OSHA, and EN 166FT standards and they're also ANSI-rated. 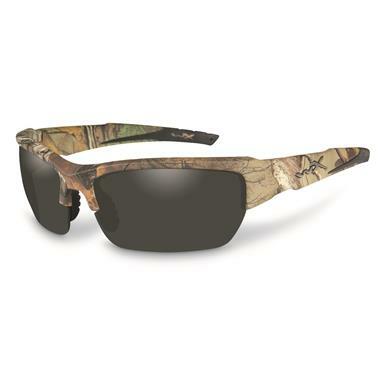 And they deliver distortion-free, glare-reducing clarity with polarized UV-blocking protection. Order your Wiley X Sunglasses right here!